RCMS had a great day winning the KVMS swim Invitational! Not only did they win they also broke 2 invitational records. Geleott, Nelson, Myers, and Cook won the 200 Medley Relay setting a new record with a 2:11.00. Matthew Swartz and Solcy Sanchez were 1st and 2nd in the 200 free with times of 2:15.53 and 2:39.08. Ary Nelson won the 100 IM with a 1:11.03 and Emily Myers was 2nd with a 1:16.68. Placing first in the 50 free was Lilly Cook with a 27.58. Trinity Oliver placed 2nd in diving with Aryanna Baldwin placing 3rd. Myers won the 50 fly with a 32.18, and Kayne Robinson was 2nd with a 35.86. Cook wins the 100 free with a 104.06 and Castle was 2nd with a 1:09.07. In the 400 free Swartz placed first with a 4:55.38. Zach Geleott, Kayne Robinson, Katie Castle, and Matthew Swartz won the 200 free relay with a time of 1:58.76. In the 100 backstroke Zach Geleott won 1st with a 1:12.54. Robinson was 2nd with a 1:19.71. Ary Nelson sets a new Invitational Record in the 100 breaststroke with a time of 1:16.46. Finishing off the meet Swartz, Cook, Myers, and Nelson won the 400 free relay with a 4:23.20. 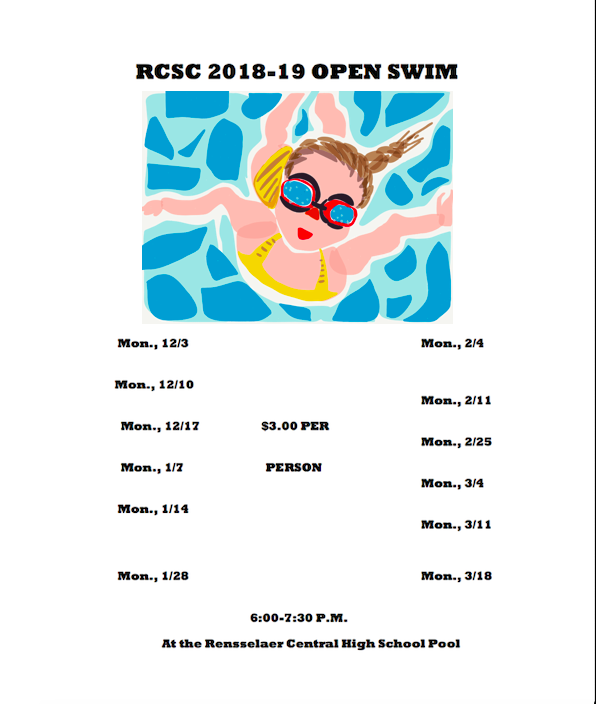 We swim again on Monday night at South Newton.